Whenever I watch a ‘Whats In My Bag’ video from an American YouTuber, I always spot a cute scented hand sanitizer amongst their stash however we aren’t as lucky in the UK as the majority of hand gels available to use don’t have a fragrance rendering them boring, although practical, to use. That is, until the new Cuticura Limited Edition candy inspired range hits Primark stores this month. 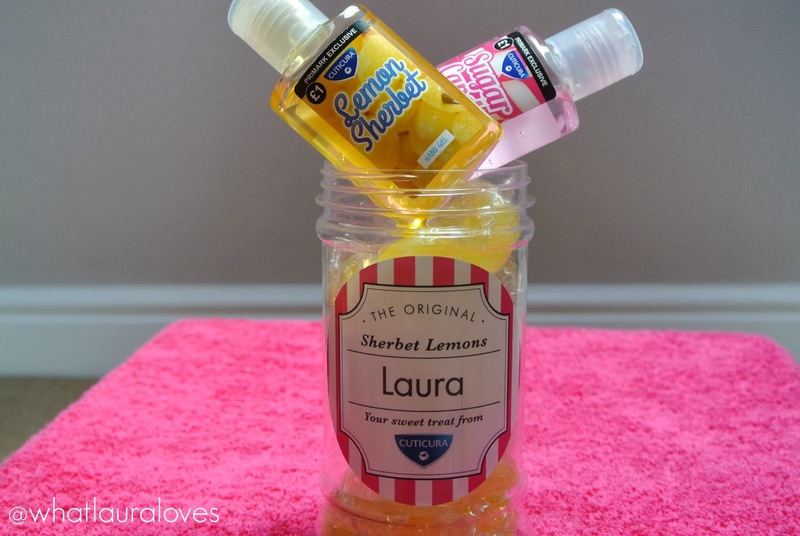 The new launch is a sugary spin on the traditional anti-bacterial hand gel offering two super sweet varieties- Lemon Sherbet and Sugar Candy. 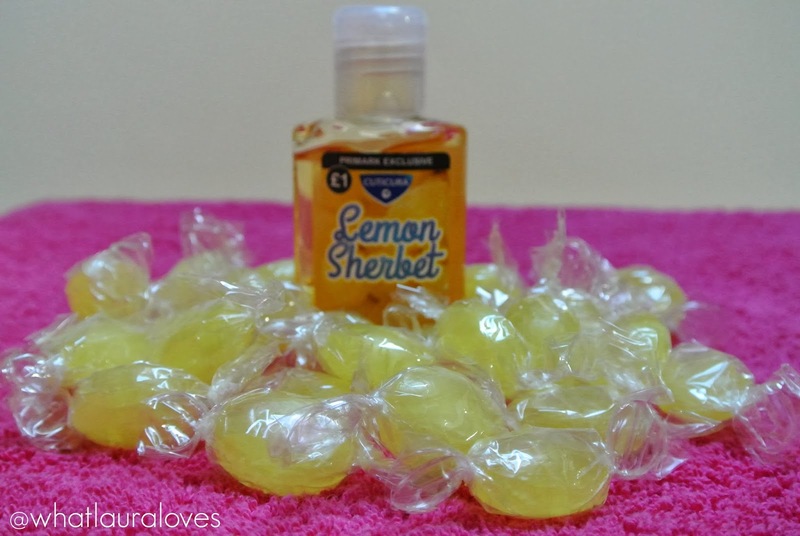 Lemon Sherbet is a bright, zesty gel combining the scent of fresh lemon with sugared vanilla to create a citrus burst that is zingy and cooling when applied to the hands. 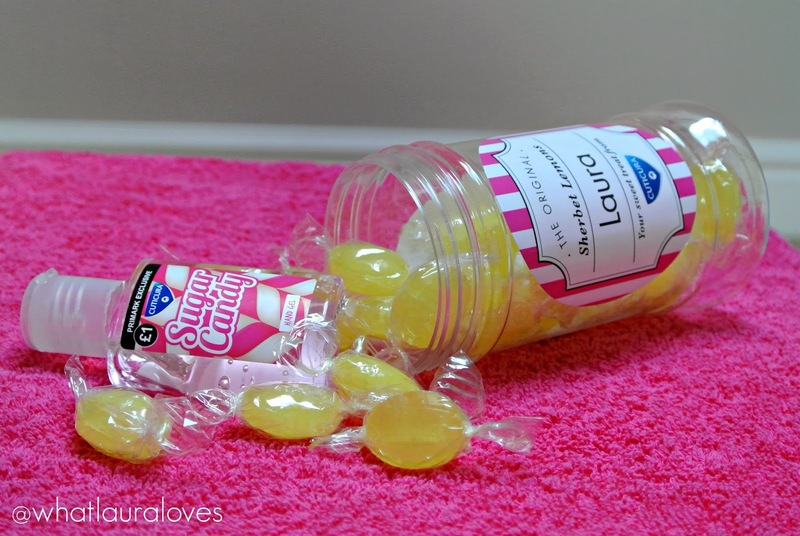 By comparison, Sugar Candy, my favourite of the two, combines the aroma of juicy pink grapefruit with sweet vanilla for a super sweet, sugary treat. The scent of both hand gels leaves a gorgeous scent on your hands as well as leaving them sparkling clean. What I like the most about them is that they kill the bacteria on your hands, making them super clean but they don’t dry the hands out, making them squeaky and uncomfortable either. My hands are actually left feeling soft after using these and smelling AMAZING which I love… although my hands do smell a little too tempting, especially when I’m on a health kick! 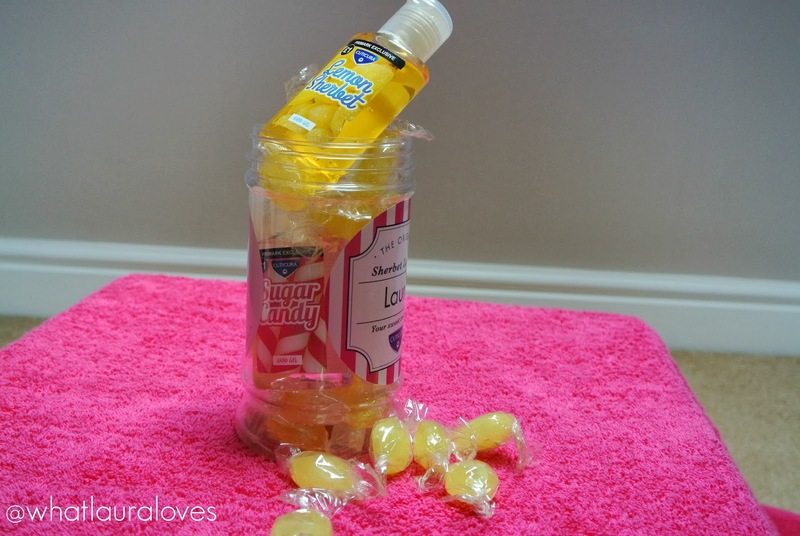 However it isn’t just the sugary sweet candy flavours that make this hand gel special. They’re made by the industry leaders in anti-bacterial products- Cuticura who have formulated these to help to kill 99.9% of bacteria which is certainly what we all need, given that our fingertips are exposed to an array of harmful nasties on a daily basis. Just think how much bacteria you come into contact with when you’re getting on the tube for your daily commute or tapping away on the keyboard at work. That bacteria easily transfers onto our face and can cause the common cold and spots at best– the worst doesn’t bear thinking about! The Cuticura hand gels are perfect for popping in your handbag when you’re out shopping or going to work to sanitise your hands before lunch and they’re perfect for gym bags and travel carry on luggage too as they’re 50ml in size. At only £1 exclusively from Primark stores, these are a low cost, affordable way to protect your hands. I have raved about Cuticura on many an occasion as they’re such a staple product around my home, in my handbag and at work. Read about how they can help you to avoid a cold this winter and how they’re a handy addition to my beach bag on some of my previous posts. The only thing that is left to decide is, which one will make its way into your handbag?